Finding high-quality images for your website can be one of the most difficult challenges when you’re designing a website, overwhelming even the most hungry information seekers. When you create a website for your company or write articles on your blog, the use of images becomes necessary (almost mandatory), but usually we don’t have enough time to look for images that perfectly fit with our site. For this reason, people usually choose to launch the website or publish articles with very poor images obtained from Google Images, turning a blind eye to both the copyright and the quality of the photos. In order to give you a graceful and professional solution to this problem, in this post, we are giving you the 38 best banks of free images with professional photos, high-quality and, something always ignored but very important, that you have free permission to use them! StockSnap.io has a large selection of beautiful free stock photos and high-resolution images. The site also has a very handy search feature making it easy to browse through the thousands of images available. In addition, the site tracks views and downloads so you can find the most popular photos available. Unsplash offers a large collection of free high-resolution photos and has become one of the best sources for stock images. The Unsplash team combs through new submissions and features the very best photos on their homepage. All photos are released for free under the Unsplash license. Burst is a resource from Shopify that provides free stock photos for entrepreneurs. Some photos are licensed under Creative Commons CC0 while others fall under Shopify’s own photo license. Burst was launched to help entrepreneurs make better products, websites, and marketing campaigns. Most of the pictures are original photos that were taken in-house and are themed around trending business niches — everything from DIY beard oil to Aliexpress LED sneakers. You can also find more general photographs as well. Reshot is a massive library of handpicked free stock photos you won’t find elsewhere. Built for startups, freelancers & makers who are sick of tacky stock photos. Free to use commercially and editorially–no attribution required. Pixabay offers a large collection of free stock photos, vectors and art illustrations. All photos are released under Creative Commons CC0. Freestock offers a wide range of high-quality photos all released under Creative Commons CC0. Picography contains beautiful free stock photos submitted by Dave Meier and various other photographers. All photos are released under Creative Commons CC0. MMT Stock is a collection of high-resolution photos provided by Jeffrey Betts. Jeffrey likes to share photos of computers and workspaces as well as flowers and nature. All photos are released under Creative Commons CC0. Kaboom Pics offers a wide variety of high-quality free stock photos including abstract, city/architecture, fashion, food, landscapes and more. Photos can be used for commercial purposes but cannot be sold or redistributed. SkitterPhoto offers a wide variety of free stock photos and is released under Creative Commons CC0. All pictures are authentic and created by Skitterphoto’s owners. This mention comes with a bit of sad news. The owner of the site Nic passed away but his photos remain in his memory. All photos that have been posted were released under the creative commons license public domain dedication. Death to stock photo uses their own license, which you can read on their website. Epicantus contains free original photography by Daria. You can use these hi-res photos for your landing pages, blog posts & designs. All photos are released under creative commons CC0. ShotStash offers a broad range of photos; they add new images every day under a free for commercial and personal use license. 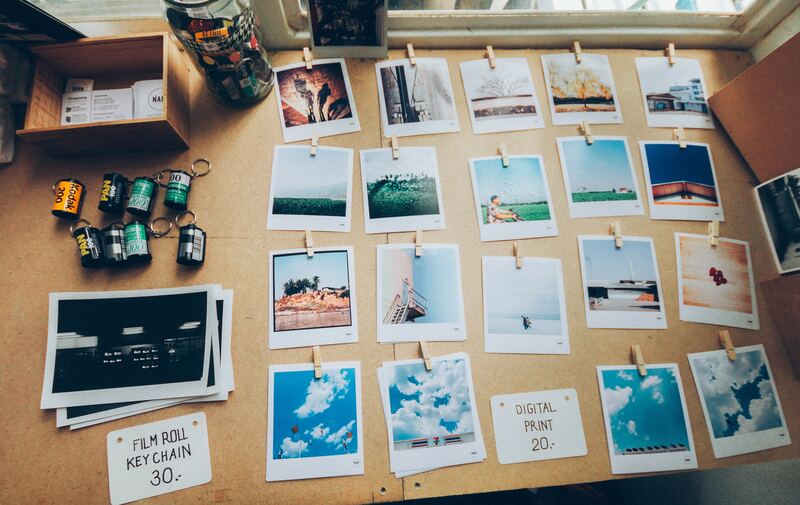 StyledStock offers a beautiful free images bank that you can use for your project or website. Unique and relatively unknown, Barnimages offers free, high-quality images that you can’t find elsewhere. The reason? Barnimages isn’t your normal stock photo portal. It’s a photography project by Latvian founders Igor and Roman, who call their pictures “non-stock images.” They only provide you with photos that they themselves love. The two of them have taken the majority of pictures themselves. Plus, they ao upload photos from their personal photographer network—always with the claim, that each of the (over 2000) pictures are totally different. Definitely worth a look! From stunning portraits to sleek workstations, we’ve got a feeling you won’t have any trouble finding the perfect photo for your next project or blog post. This site is also somewhat different. The photos are not curated and not as professionally produced as on Unsplash or Gratisography. You’ll find pictures of random people and everyday objects, kind of like your aunt Sally shared her Google Photos stream with you. Morguefile is not the place to find big header images, but if you need a simple free photo of a kid brushing his teeth, this is the free stock photos website for you. Stockvault is another great source of free stock photos, wallpapers, and even textures. The collection is only about half the size of Unsplash, but it’s well-curated and has daily new additions. This site also has a good search engine and is well-organized for browsing by category. Besides having a huge collection of unique stock images, Pikwazard also offers a design wizard that allows you to make basic edits like adding text overlays before downloading. While the basics are free, they also have paid version that’s a full-featured online image editing tool. Rawpixel claims to have the most diverse collection of stock photos in the industry — and it may be true. They also have vectors, PSD mockups, and public domain content like famous Japanese wood panel prints. Their paid option contributes to Hope for Children. More than a just a simple stock photo collection, Reshot is a community with a mission. They aim to give emerging photographers a platform to share their creativity with those who need it. Their curated collections are extensive, stunning, and completely free. To have success on the internet, bloggers, companies and website owners need to produce and create more and more interactive websites, with colorful designs and incredible beautiful images to really grow and attract even more audience.We are sure you’ve already realized that, but if not, you just have to look at any of the bank images we just mentioned and choose the one that fits for your website. We also believe that at the very end, a picture is worth a thousand words. Now it is your turn, pic one of these banks and start working on your new marvelous website! We wish you the best of success.